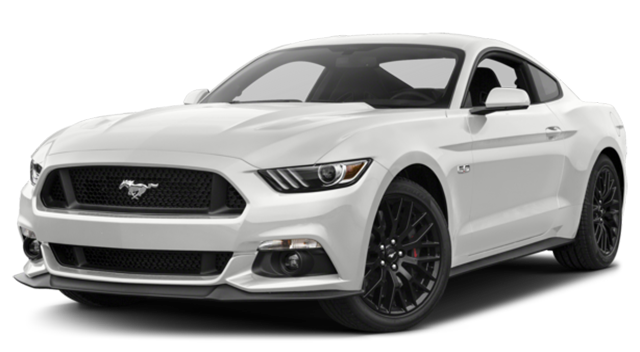 Test Drive the 2017 Ford Mustang at Glenwood Springs Ford! Ladies and gentlemen, allow us to introduce you to one of the season’s most startlingly powerful and attractive new vehicles: the 2017 Ford Mustang! Sure, you know that the Mustang has a long-standing reputation for power, but this new Mustang comes with—get ready for it—five different but equally phenomenal engines. Yet in addition to all its power, the new Mustang also is outfitted with some of the very best in automotive technologies, interior design perks, and dependable safety specs. Check out the details by reading on. A Choice of 5 Engines – For starts, the Mustang features an incredible five engines. First, you can opt for a 2.3L EcoBoost I-4 engine that produces 310 hp, or you can select the 3.7L V6 engine, which gives you 300 hp. If you’re the sort that desires even more power, check out the Mustang’s 5.0L V8 engine, which generates 435 hp, or its 5.2L Flat Plane V8 engine, which is capable of realizing as much as 526 hp. Meanwhile, at the upper reaches, the 5.2L V8 engine promises the same amount of power as the Flat Plane but also ensures even more solid rates of efficiency. Epic Efficiency – Speaking of efficiency, let’s see what the Mustang has in store for you. First of all, the 2.3L EcoBoost I-4 engine gives you 21 mpg in the city and 30 on the highway, while the 3.7L V6 engine is able to generate 18 mpg in the city and 27 on the highway. Likewise, the 5.0L V8 engine can still get 15 mpg in the city and 25 on the highway, while the 5.2L Flat Plane V8 engine realizes 14 in the city and 21 on the highway. Finally, the 5.2L V8 engine, which gets the same of horsepower as the Flat Plane, is able to crank out 14 mpg in the city and 21 on the highway. Selectable Drive Modes – What’s more, the Mustang gives you a wide range of control over your performance, no matter the engine you opt for. For example, with its Selectable Drive Mode system, this car gives you a selection of four distinct modes: Normal, Snow/Wet, Sport, and Track. Perfect for Colorado drivers like ourselves, who rely on our car to ensure safety during those treacherous winter snow storms, the Mustang’s Snow/Wet mode in particular enables you to rest assured that you’re going to get the best in operating power on those mountain roads this winter. Launch Control – Meanwhile, the Mustang is able to guarantee some of the very best in torque balance, grip, and acceleration via its brilliantly-constructed Launch Control device, which is able to integrate the car’s brake systems, its traction devices, and its powertrain in order to ensure the very smoothest, consistent drive, while also displaying the vital stats on its in-dash LCD screen using a specially developed Track Apps device. Electronic Line-Lock – The first of its kind in the industry, the Mustang’s Electronic Line-Lock is able to keep the car’s front brakes locked even while it releases the rear brakes. What this means is that the Mustang is able to accelerate in order to spin and thereby warm up the rear tires, thereby enhancing tire grip on the road and making it possible for you pull up on the staging line, activate the car’s launch control, and shoot off from a stop. Performance Packages – What else? Oh, we almost forgot: the Mustang also gives you a choice of two awesome performance packages. For example, you can opt for an EcoBoost Performance Package that gives you chassis tuning, summer-only tires, aluminum wheels, and improved braking performance. On the other hand, you can also go for a GT Performance Package that gives you Brembo six-piston front brake calipers with larger rotors, as well as TORSEN Differential with 3.73 Axle ratio. But that’s just the beginning. For in addition to giving drivers a host of spectacular performance specs, the Mustang also provides a raft of stellar technologies designed to keep you and your passengers as entertained, engaged, and informed as possible. These include—but of course are not limited to—SYNC Technology, SiriusXM Traffic and Travel Link Navigation systems, a Shaker Pro Audio system, an abundance of interior space, heated and cooled seats, and HID and LED signature lighting as well. SYNC Technology – In order to keep you and your passengers in constant contact with friends and family, the Mustang is equipped with both SYNC and SYNC3 technology. With SYNC, the Mustang enables you to connect a smartphone directly to the car’s console, thus giving you steady access to all your own maps, music, apps, and basically anything else that you have stored on your phone, while with SYNC3 you’re going to be able to maintain contact with pretty much anyone you need or want to on drives both long and short. SiriusXM Traffic and Travel Link – In addition to keeping you and everybody else connected, the Mustang also gives you a stream of navigation information with its SiriusXM Traffic and Travel Link services, which keep you abreast of all relevant developments on the road. For example, you’ll be able to get updates on travel conditions, traffic jams, destination information, even the locations of nearby gas stations using this astounding technology. Shaker Pro Audio – But in addition to affording you constant updates on the road and weather conditions, the Mustang also provides one of the most enjoyable drives around. With its Shaker Pro Audio system, for example, this new Ford keeps the music pumping and the bass thumping throughout your drive, letting you and your passengers sit back, kick back, and rock out on those epic autumn drives around the state. Abundant Interior Space – Likewise, the Mustang also offers a memorably comfortable drive, with as much as 84.5 cubic feet of passenger volume, meaning that you and your friends are going to really be able to stretch out and lounge while shooting down the highway. At the same time, you’re never going feel cramped because of cargo: with its 13.5 cubic feet of total cargo volume in the trunk, you’ll be able to fit all your luggage into this car with no trouble whatsoever. Heated and Cooled Seats – Plus, the Mustang complements all this spaciousness with some of the most luxurious accoutrements on the market today. For example, it gives you heated and cooled seats, promising to keep you as warm as possible this winter while also letting you rest assured that you’re never going to feel that uncomfortable stickiness on your seat next summer when the weather starts to heat up. HID and LED Signature Lighting – Finally, the Mustang also boasts both HID and LED Signature lighting in the cabin, allowing you to ensure that you’re never going to have to root around in the dark for a map or your phone, while also giving you an impressive degree of control over the mood and ambience of the car when you’re entertaining friends in the cabin. Last but not least, the 2017 Ford Mustang is also equipped with a selection of some of the most cutting-edge safety systems currently on the market. Designed with your own and your passengers’ safety in mind, the Mustang boasts, among others, Electronic Stability Control, Blind Spot Information, Adaptive Cruise Control, Rain-Sensing Wipers, Anti-Lock Braking with Traction Control, and Six-Piston Brembo Front Brakes. Electronic Stability Control – If there’s one thing that Colorado drivers need out on the road, it’s stability control, which can give you some peace of mind when you’re careening around sharp bends in the mountains. Luckily, with its well-developed Electronic Stability Control system, this year’s new Mustang is able to harmonize your turning angle and your speed, thereby helping to prevent a dangerous loss of stability out on the highway. Blind Spot Information – What’s more, the Mustang is able to alert you when another vehicle has entered your blind zone with its Blind Spot Information system. Using this device, the Mustang provides you with another pair of eyes, enabling you to keep tabs on the road around you and making it even easier to avoid imminent threats and prevent collisions. Adaptive Cruise Control – Sometimes you just want to kick back and enjoy the drive. Thankfully, the Mustang is able to make this possible with its space-age Adaptive Cruise Control device, which surveys the road around you in order to determine the speeds of other vehicles and set the Mustang’s speed in relation them. Nor do you have to keep monitoring your speed: when the cars around you change speed, the Adaptive Cruise Control will change yours appropriately for you. Rain-Sensing Wipers – Few safety devices are more helpful to drivers from Colorado than the Mustang’s Rain-Sensing Wipers, which are able to activate themselves when they sense the first signs of a storm, allowing you to rest easy that your car—and its wipers—have your back when you are facing snow squalls, summer rain storms, and other suddenly occurring treacherous conditions. Anti-Lock Braking with Traction Control – However, sometimes wipers, stability control, and blind spot information are not enough, and you face a sudden threat on the road. Well, with this car’s Anti-Lock Braking system, you’ll be able to respond to dangers at a moments notice while also knowing that your braking system is one of the best around. At the same time, Traction Control strengthens your braking even more by increasing your car’s grip on the road. Six-Piston Brembo Front Brakes – Finally, the Mustang makes an extra-special braking system available to drivers who choose certain of its trims. With its Six-Piston Brembo Front Brakes, for example, you are going to get the very best, most up-to-date, and most sophisticated in braking technology, giving you even more reason to rest easy that you’re driving a car that is not only legendarily powerful but also legendarily safe.